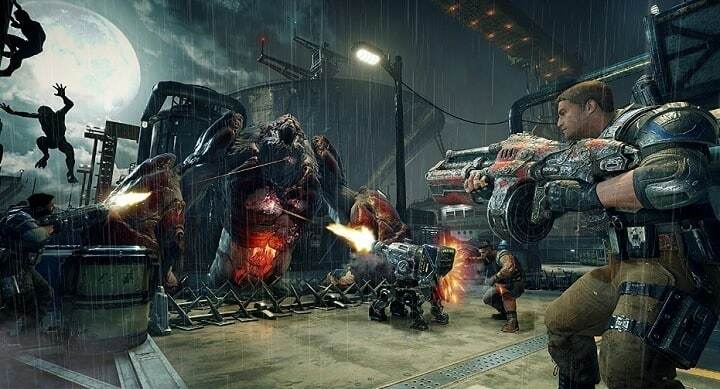 The Coalition is working hard to improve the Gears of War 4 experience. The company has already added a series of useful features to the game, such as crossplay, punitive measures for rage-quitters, and new weapon skins. The good news is that this trend will continue and players will soon see new features coming to the game. The company has already published a post describing the new features and improvements coming in March but hasn’t revealed too many details yet outside of the addition of the long-awaited Core and Competitive lobbies. This comes after back in November The Coalition promised it would add a pre-game lobby system to improve the ranked experience. In just a few weeks’ time, this feature will finally become available to all users. […] we announced we were working on a new feature based on fan feedback – a pre-game lobby system for Core and Competitive playlists to improve the ranked experience in Gears of War 4. Today, we are excited to share that Core and Competitive lobbies will arrive next month in the March update! We will share more details, news and first looks at this new system closer to release. This plan is part of The Coalition’s strategy to bring new Core and Competitive solutions for Windows 10 players. With Social Quickplay as popular as it is on Windows 10, The Coalition is planning to introduce new Core and Competitive solutions which will most likely be followed by other improvements. Core and Competitive play will remain separated in order to ensure balanced matched. We’ll update this post as soon as new information is available.